Owners Carlo and Nonna greet you with endless Italian hospitality. Nestled on a forested hillside above Bellagio and cradled between a ring of high Alpine foothills, visitors have enjoyed Hotel Il Perlo Panorama and its view overlooking Lake Como for nearly a century. It was built in 1922 by the current owner’s grandfather, and has been run by the family ever since. At the beginning it was a small farm with a few basic affordable rooms to rent for servants of the aristocracy visiting nearby Bellagio. Today it is the guests of Il Perlo who feel like the richest people in the world as they take in the special panoramic vista from the expansive patio or from the solitude of their rooms and are treated with the same welcoming family hospitality as those years ago. Your view from the hotel patio when enjoying your breakfast, post-ride lunch, or aperatif. The view of the hotel and iconic Ghisallo climb that has been photographed with cyclists for nearly a century. The hotel is a sublime getaway from the hustle of everyday life. From the gurgling namesake stream, Torrente Perlo, to the garden of roses, olive trees, wisteria and kiwi vines, to the large zen-like outdoor patio and view unrivaled in Lake Como, it will enchant you from the very beginning. Whether you are looking for a romantic holiday, a quiet place for the family to explore together, or a base for hiking and cycling adventures, you will realize why Hotel Il Perlo Panorama continues to host returning guests from around the world again and again. Fausto Coppi racing in the Giro di Lombardia with Hotel Il Perlo in the backround. Today you can still watch amateurs and pros make the climb to the Ghisallo. From the 2015 Peloton Magazine Photo Annual. The hotel’s iconic setting has been a background fixture in the Giro di Lombardia race as professional cyclists hit the 14% grade in front of Il Perlo on the gruelling 10 kilometer climb from Bellagio to the Madonna del Ghisallo chapel 700 meters above. 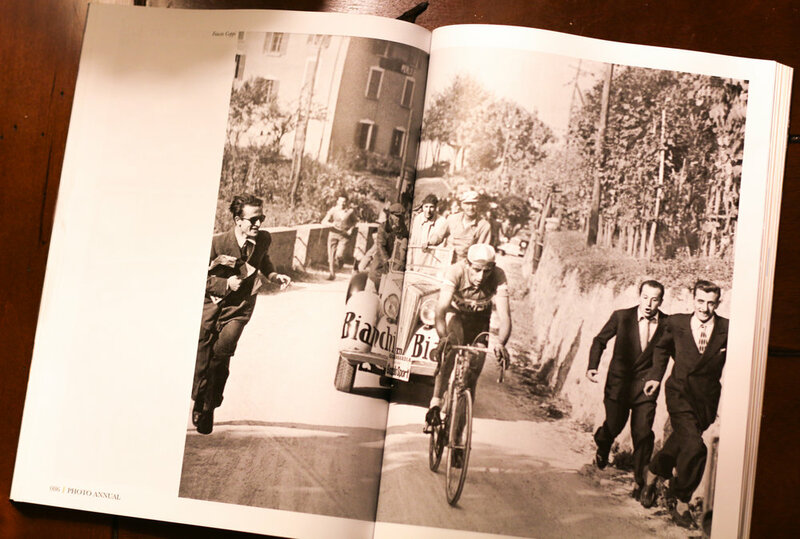 In race photos taken since the early 1900s, behind the faces of Bartali, Coppi, and Nibali, you can see the hotel, its guests, and local tifosi cheering Vai! Vai! to their heroes as they race towards the ringing Ghisallo chapel bells. Every day, and especially on the weekends, you can watch cyclists make the same climb past Il Perlo….now it’s your turn to join them! 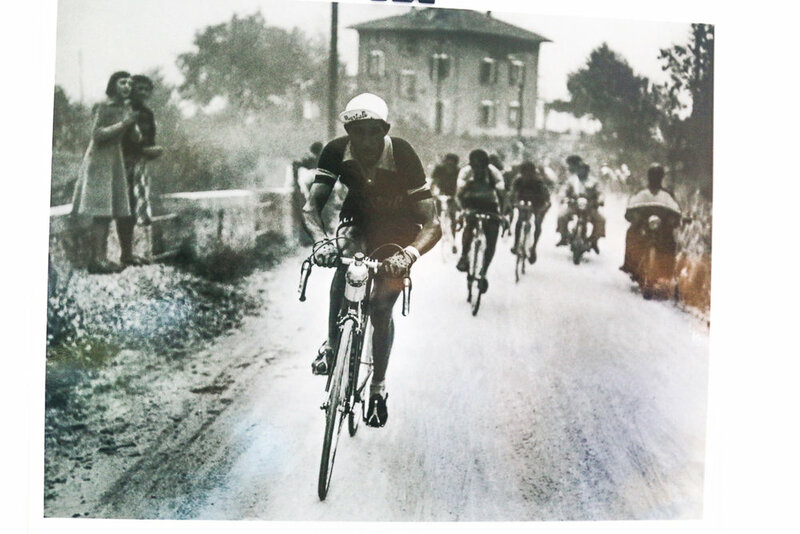 Gino Bartali racing the Giro di Lombardia past Hotel Il Perlo...and the owner's teenage aunts watching him race by! Whether you are an active cyclist or their partner looking for your own activities, a young family, a solo traveler, or retired and traveling the world, everyone is welcome at Hotel Il Perlo. The comfortable rooms all have their own private bathrooms and either shared or private patio. Every morning begins with a large breakfast buffet of local specialties like cheese, fresh yogurt, fruits, meats, cereals, breads, and a giant tub of Nutella. Their restaurant serves both lunch and dinner, which can be enjoyed on the patio in the fresh air or even under the heat lamps. Bellissimo, no? Check out the rave reviews from other travelers on TripAdvisor!